V. M Straka was an enigmatic writer perhaps best known more for his reclusive behaviour that led to legends of espionage and treachery rather than his novels. The public speculated about the man’s identity but found nothing but rumours and hoaxes right up until the day he fell to his death from his hotel balcony. 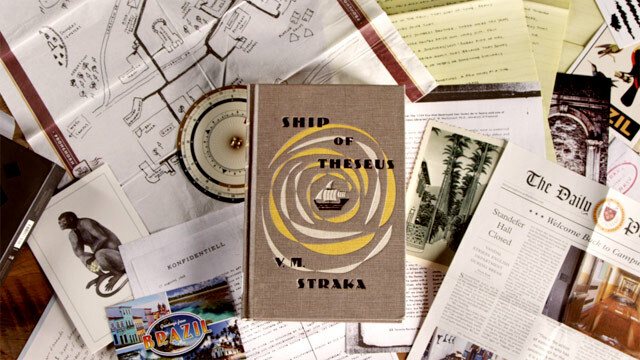 Now two college students, one a disgraced student, the other just starting her college life, find themselves wrapped up in a mystery that holds deep dark secrets as together they examine every tiny detail in Straka’s last novel Ship Of Theseus. J.J Abrams is a man fond of mysteries – the evidence is in his TV shows Fringe, LOST, Alias and even Alcatraz. Here with writer Doug Dorst, he brings to life perhaps his best mystery-thriller yet and like the russian doll, as the book goes on, layer upon layer is revealed, making for a satisfying, if not slightly head scratching read. 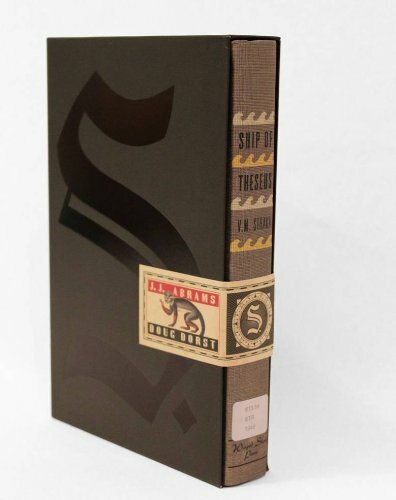 The book itself is something to marvel over – it’s designed to feel like an old book you’ve stumbled across in a library, complete with library stickers, stamps and yellow pages. It’s all quite lovely for someone as book-geeky as myself. 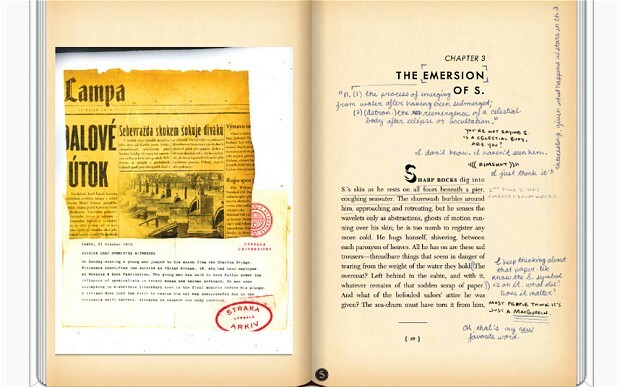 SHIP OF THESEUS is the novel you’ll hold in your hands – the last one by the mysterious writer before he fell to his death. It’s a full novel so go ahead and dig into it – it’s a cracking thriller with sci-fi and fantasy undertones and follows an unnamed man as he washes up on shore with no memory of who he is or why there is blood on his hands – and so begins his odyssey. In the margins you’ll find a conversation between two college folk that come together to study the writer and his disappearances and this is where the heart of the story comes into play. You see, S. might be a thriller but at its core, it really is a love story – plain and simple. It’s a love story in SOT, It’s a love story between the students and lastly, it’s the love story between the reader and the book. Hey – did you giggle? Don’t laugh man, books are magical little buggers and they can cast their spell on you. All this love makes for a satisfying experience on different levels and though it doesn’t always quite manage to be effective in capturing the spark between the student’s conversations, it’s at least a little sweet by the time the conclusion rolls around. If you were put off by LOST’s lack of answers, you might be relieved to know that S. delivers a satisfying wrap up of the mysteries in the end, leaving enough room for you to come to your own conclusions about certain things here or there – which, I personally enjoyed here anyway. Part of the fun of reading S. is that it is a super immersive experience – there are newspaper clippings, post cards, letters, a bloody code wheel and not only that, if you’re that into the story, you can go beyond the book and visit sites mentioned in-book, which I personally thought was a pretty exciting concept. If you’re looking for something new to read and are out of ideas, swing by your local bookshop and pick up a copy – if you’re a fan of mystery-thriller or even Abrams, you won’t be disappointed with this and hey, if you ARE, feel free to discuss it here with me.